The safety of everyone that is involved with, participates in or spectates at the rally is our top priority, and so we ask that you read the following and keep it in mind on this and any other rally you may attend. 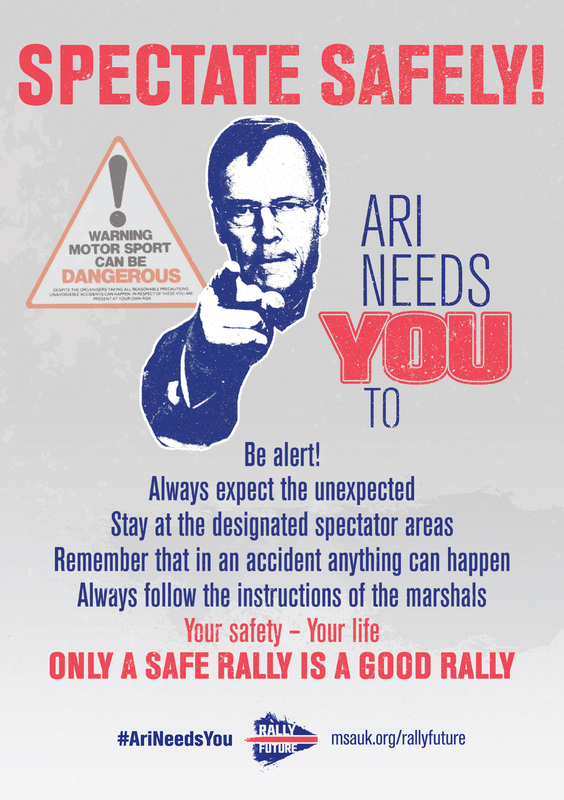 Please listen to the marshals they are there for your safety and want to ensure that we run the safest rally possible. if they ask you to move or inform you that you are standing in an unsafe place please follow their instructions. Spectators who are asked to move but refuse to do so are putting their own safety and that of others at risk. Where this happens the rally marshal has authority to notify the stage commander, who will take appropriate action, which may include stopping the stage or the stage being cancelled. Observe the colour coded tape and all signage - Red and White means PROHIBITED AREA, so a no-go location for everyone. Black and Yellow are the designated spectator areas - please stay within these areas. Click below to download a spectator information pack with access details, plans and timings. Parking at the official spectator areas costs £10 per car and includes a programme. There are two locations available to catch the action, with Sweet Lamb/Hafren North running twice and Cwmysgawen used once. You are also welcome at Builth Wells Showground for the pre-event checks, start, service halt and finish free of charge but please park sensibly. Please note: The running order consists of: classes RF1.4, RF2.0, 1400C, 1400S and H1 and H2 at the front of the field and run in reverse seeded order, (slowest first); followed by the main field in seeded order based on anticipated performance. 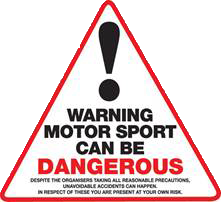 Watch, listen and please stay safe when spectating on any motorsport event.